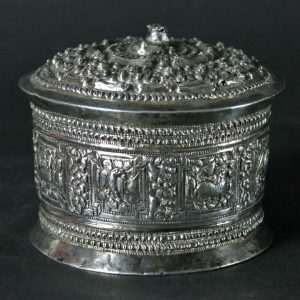 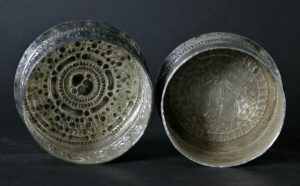 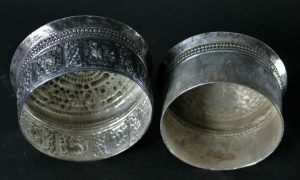 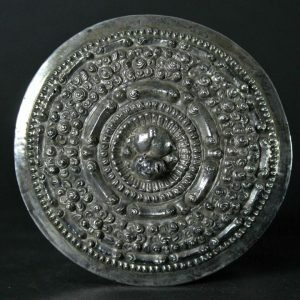 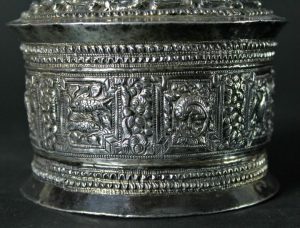 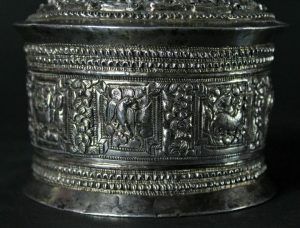 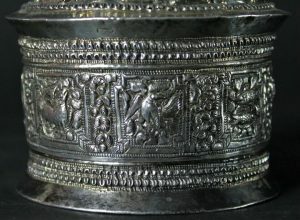 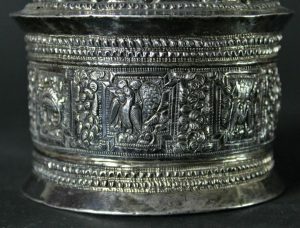 Silver round box Shan Burma from around 1900. 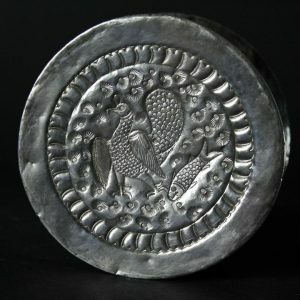 Nice solid silver. 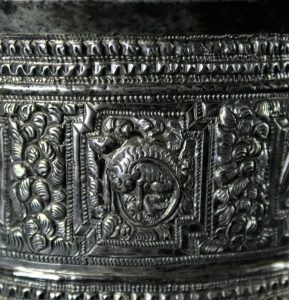 Beautifull craftmanship. 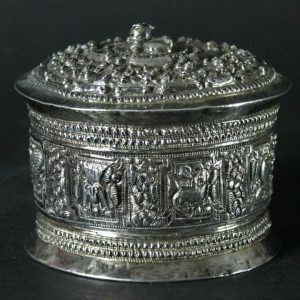 Tobacco or bettelnut box.